Once an ally is always an ally. This is what seems to be in the mind of US Secretary of State Mike Pompeo, when he reiterated that the United States would defend the Philippines in the event of “any armed attack” in the South China Sea. But what is pleasing to the ears of the Philippines did not sit well with China, as Beijing condemned this statement from Pompeo on Friday by saying that the US State Secretary “stirs up trouble” according to China’s foreign ministry spokesman Lu Kang. Pompeo who met with Philippine President Rodrigo Duterte in Manila, said the country depended on “free and unobstructed access to the seas” as it was an island nation. “China’s island-building and military activities in the South China Sea threatens your sovereignty, your security and therefore your economic livelihood. As the South China Sea is part of the Pacific, any armed attack on Philippine forces, aircraft or public vessels in the South China Sea would trigger mutual defence obligations under Article IV of our Mutual Defence Treaty,” the US official said. But China’s foreign ministry spokesman resented this statement from the US by pointing out that Southeast Asian countries and China were already working towards an agreement to mitigate tensions in the disputed waters. The South China Sea includes one of the world’s most important shipping lanes and is believed to be rich in mineral and marine resources. “The situation is steadily moving in a good direction, and all parties concerned are committed to promoting negotiations on the Code of Conduct in the South China Sea. United States is not part of the region. If countries outside the region really aspire to keep in mind the peace and well-being of the region, they should not stir up trouble. The US must respect Chinese sovereignty in South China Sea,” Lu added. 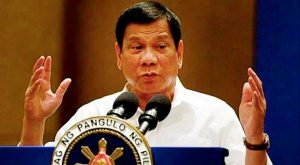 The visit of the US Secretary was prompted by a request from Philippine Defence Secretary Delfin Lorenzana to review the 1951 US-Philippine Mutual Defence Treaty. While many doubted about the sincerity of the US to protect Philippines from foreign threats such as China, the statement made by Pompeo is a relieving assurance and has more clarity and definite rather than what others perceived as rhetorical support and protect the country. Furthermore, the US official said that if China tried to claim Pag-Asa Island or the BRP Sierra Madre navy ship on Second Thomas Shoal which are currently both being guarded by Filipino soldiers, the Washington has no other recourse but to take action against China. During the previous administrations in the US officials, they made it clear that they would not take sides in any territorial dispute in the South China Sea. 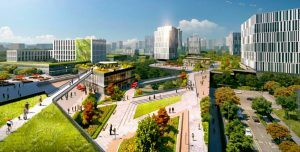 But with Pompeo’s assurance to protect Philippines, but upsets China, security analyst said that this is a welcome development, and that the message from the top US official is more reassuring than their previous statements. “What is elating is the fact that it has been publicly and openly declared by a US secretary of state, and that it specifically refers to the South China Sea.” For me, the assurance is against an attack on Philippine government assets anywhere in the South China Sea. That should be enough. If it gets any more specific, it will spell out to a potential attacker the specific geographic limits of application of the treaty. That would not be wise,” Batongbacal said in closing. Foreign Secretary Tedoro Locsin said the proposal to review or update the Mutual Defense Treaty (MDT) “requires further thought”. But later on he shared his personal view that such a review was not needed anymore. “Some seek the review of the MDT. This requires further thought. In vagueness lies uncertainty, a deterrent. Specificity invites evasion and actions outside the MDT framework. But too much vagueness lends itself to doubt the firmness of commitment. 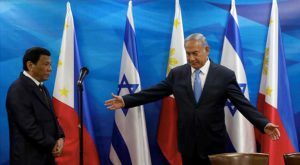 For the time being, helping the Philippines build up our self-defense capacity should do it,” Locsin said. 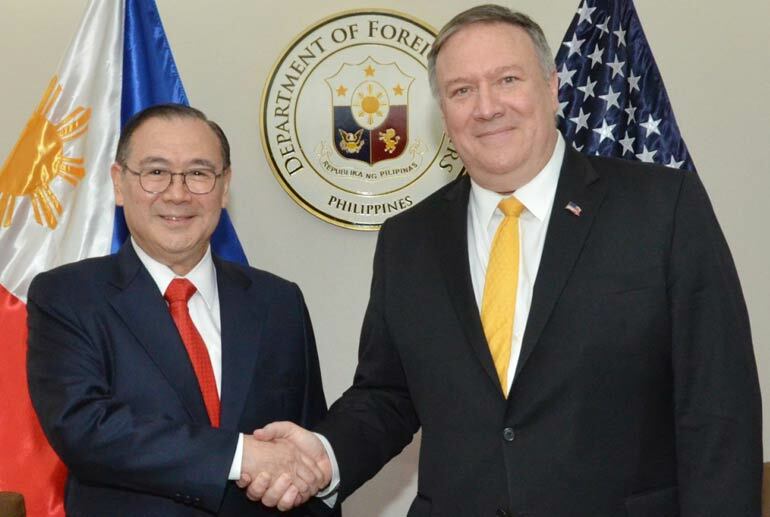 “They will respond depending on the circumstances but we are very assured, we’re very confident that the United States has in the words of Secretary Pompeo, words of President Trump to our President: ‘We have your back,’” Locsin said in closing.